TYLT makes just about every charging accessory imaginable, but there are two categories the manufacturer had not tried its hand at – car chargers and power mats. That is changing today with the debut of the VÜ CAR and VÜ SOLO. The VÜ CAR, as the name implies, is a Qi-enabled smartphone mount for dashboards that attaches via suction cup. It hugs devices slotted into its 180-degree rotatable mount with three padded adjustable clamps arms, which TYLT says are the largest on the market at 4.2 inches. It is widely compatible, and will retail for $79.99. The VÜ SOLO is a little less interesting, but still intriguing. 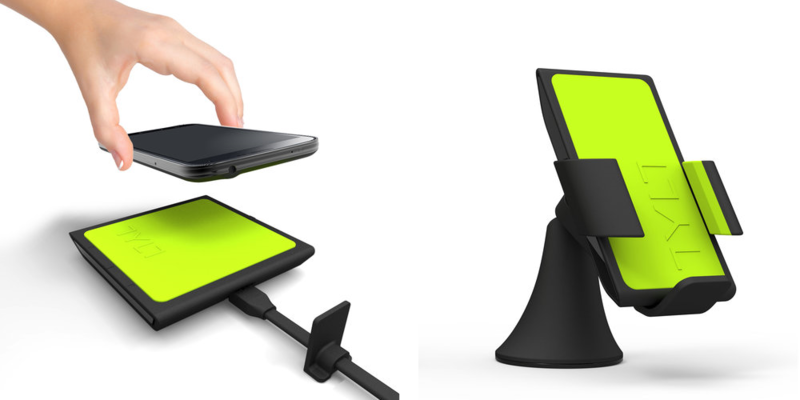 It is a smallish Qi charging mat designed with “portability” in mind; it uniquely powers via microUSB. The VÜ SOLO provides 1 Amp charge and 5 watts of power, and features built-in ventilation and a suction base. It will be available for $39.99. Both may be a little pricey compared to the competition – a cursory search on Amazon yielded several Qi-enabled car mount for $40 less – but it is defensibly in line with TYLT’s other offerings. If you are a fan of the brand, look for the VÜ CAR and VÜ SOLO to go on sale by the end of the year. Both will be available in blue, red, green, and grey.